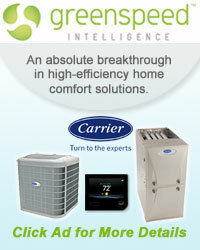 The owner, Jeff Derousseau, has over 20 years experience in the heating and cooling industry. Back in 2005, Jeff made the move to form his own company. 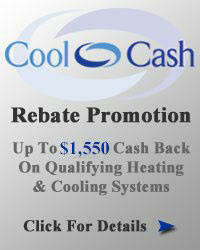 Jeff is committed to meeting and exceeding the heating and cooling expectations of our customers. The Electric & Gas Industries Association (EGIA) is a non-profit organization dedicated to advancing energy efficiency and renewable energy solutions through a nationwide network of contractors, distributors, manufacturers and utility companies. The International Ground Source Heat Pump Association (IGSHPA) is a non-profit, member driven organization established in 1987 to advance geothermal heat pump (GHP) technology on local, state, national and international levels. Ground Source Heat Pump (GSHP) systems use modern technologies to harness stored energy of the greatest solar collector in existence: the earth. The association is committed to supporting high quality GeoThermal systems installed by well trained contractors for the consumer. Geoexchange for the "GHPC" is committed to fostering growth throughout the geoexchange industry by promoting the use of technology. Increasing the use of geoexchange technology will not only dramatically reduce our national energy comsumption and greenhouse gas emissions, but will also slash its users' energy costs, and our nation's dependence on fossil fuels. We are a member of our local chamber who works to promote a culture where businesses can prosper and where our families and community can flourish. 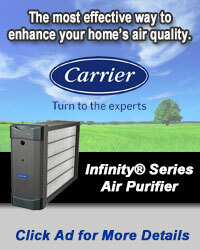 Jeff Derousseau - Owner - Jeff has over 20 years of experience in the heating and air conditioning business. Jeff works on most of the estimating jobs and has extensive knowledge in our geothermal systems. His certifications include EPA, NATE, Carrier & geothermal service and installation training. He has also passed the IGSHPA-accredited installer exam and is continually educated about the design and installation of ground heat exchangers. Brian Brohmer - Installer - Brian was one of our first two employees we hired back in 2005. He has 7 years of experience with HVAC. He is EPA certified and has passed the Geothermal installation and service technician training. Tim Hart - Installer - Tim was our first employee and has been with our company since September of 2005. He is NATE certified and has passed the Geothermal installation and service technician training. Joe Janusheske - Service Technician - Joe has been with our company since April of 2007. He is EPA certified. Jason Konsitzke - Installer - Jason has been with our company since October of 2007. He has 12 years of experience in the HVAC field. He is EPA certified. Teri Derousseau - Office Manager - Teri will be able to help you, (or direct you to whomever can), and answer any questions you may have.